In conjunction with Culver City's Centennial, The Wende Museum of the Cold War announces the launch of Cold War Culver City, a website exploring the social, political and economic history of the Cold War in Culver City, California. Created in close collaboration with community partners, the website offers community stories from the Cold War era and an interactive map for self-guided tours of local hidden in plain sight sites that are significant in the history of the Cold War, including The Wende Museum's future home, the Culver City National Guard Armory. This educational resource encourages greater interest in the history of Culver City and highlights the role it played in Cold War politics, culture and industry. The project documents a microcosm of California history by looking at two of the state's most successful and creative industries—aerospace and entertainment—as they intersected within a single community during the Cold War. The aerospace and entertainment industries grew up together and shared technology, technical talent and financial resources in Culver City. The city was also home to numerous civil defense shelters and hosted an active National Guard installation into the twenty-first century. The Cold War Culver City project directly advances The Wende Museum's mission "to inform and inspire a broad understanding of the Cold War and its enduring legacy." 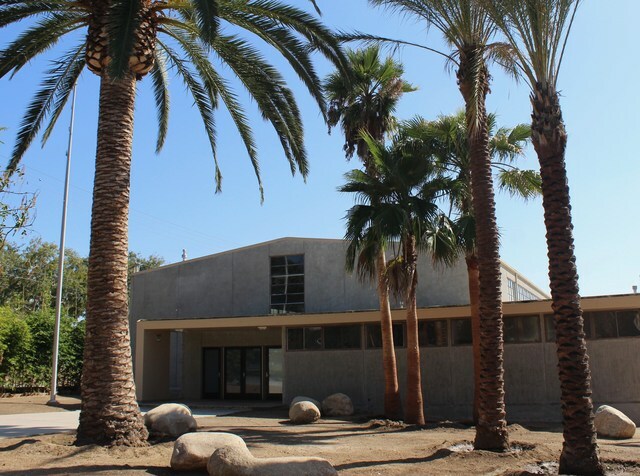 Founded in 2002, the museum is currently located at 5741 Buckingham Parkway in Culver City, California and will move to its new location at Culver City's Armory Building, at 10808 Culver Blvd., in late 2017. The Wende Museum is currently open to the public every Friday from 10 a.m. to 5 p.m., with guided tours at 11:30 a.m. and 2 p.m. or by appointment. Once at the Armory, the Wende will expand operations to include weekend and evening hours. Admission is free. For more information, visit wendemuseum.org.